Ships tomorrow if you order in the next 24 hours 35 minutes. Auto Ship & Earn + 206 Points What's this? CoQ10 is a substance naturally produced throughout your body and found in every one of your cells. It functions as a powerful antioxidant and fights free radicals and oxidative stress to keep you healthy. 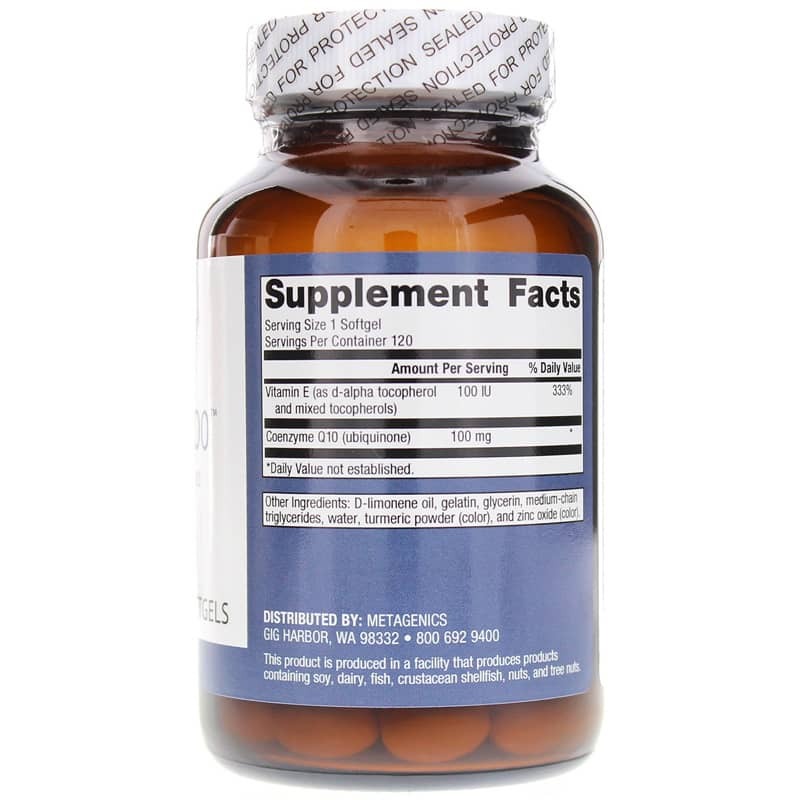 Your body's production of CoQ10 is at its highest when you're young, and as you get older, it begins to decline, which can lead to the need for supplementation. 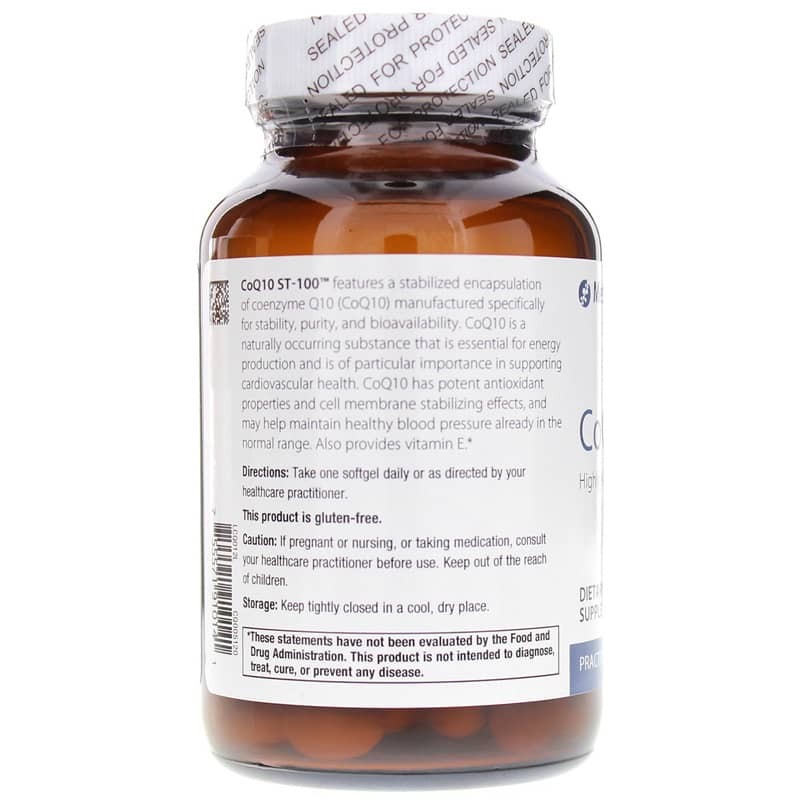 CoQ10 ST-100 from Metagenics delivers 100mg of stabilized CoQ10 in every easy-to-swallow softgel to support optimal overall heart and cardiovascular health. As well as improved energy production. Just one softgel every day can get you back on the road to optimal overall health and wellness. Give CoQ10 ST-200 from Metagenics a try today and see how it can make a difference in your health. Order now! Adults: Take one softgel daily or as recommended by your healthcare professional. If you are pregnant, nursing, or taking medications, please consult your healthcare practitioner before use. Keep out of the reach of children.